Google I/O 2017 was a lot of fun and informative. I wish I had Hermione's Time-Turner as there were many talks to attend and many amazing people to meet. Here are some things I learned at I/O: AI & Machine Learning This year, I/O was all about AI on every Google product. A product mentioned at the Keynote was Google Lens which enables your smartphone to take pictures of an image like a flower and identify it. That's pretty helpful for a hobbyist gardener like me. 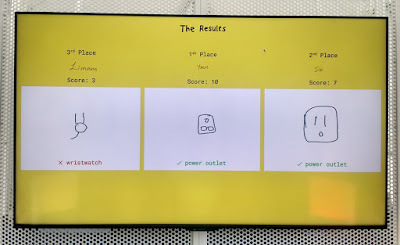 I also happened to drop by their Android Experiments sandbox and play the AI powered Quick Draw with fellow I/O attendees.